It’s a question for the ages: which yellow cartoon character do you side with? Wise-cracking SpongeBob Squarepants, the most anthropomorphic sponge to live under the sea? One of Gru’s Minions, an adorable comedy sideshow who manages to steal the limelight? Or Pikachu, the elusive and beloved Pokemon? 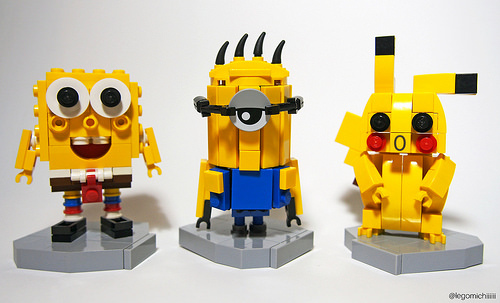 Takamichi irie decided to build all three, so you can see how the LEGO versions stack up. Cast your votes in the comments!